Silver Springs Lake is located south of Fernie near Elko. The lake is a popular cliff diving and swimming area. This view is of the first lake of three. 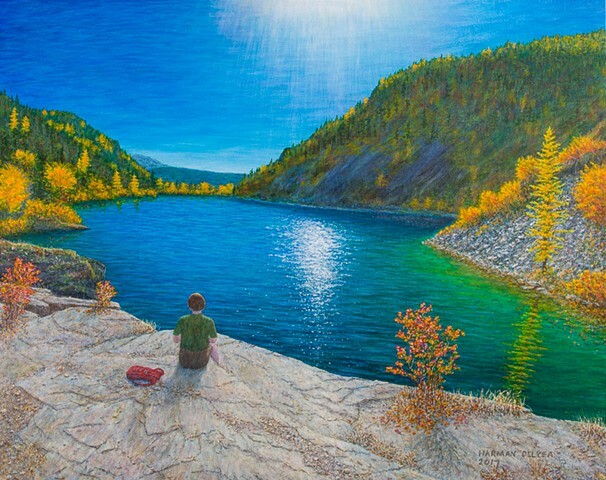 In my painting, I wanted to show the uniting of nature’s reflections with the human emotion of reflecting on the present moment.